What is Maruti Suzuki Arena? Maruti Suzuki Arena showroom, a new standard in the automotive industry, is built on pillars of experience, technology and design. The new spacious Arena showroom is powered by technology to make the communications innovative, efficient, digitized and interactive to provide a stellar car buying experience. 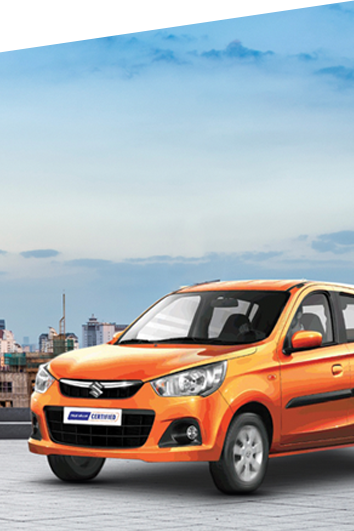 Come experience the new, young, trendy & vibrant Maruti Suzuki Arena showroom of Shivam Autozone in Mumbai. A new corporate identity with dynamic facade. Seamless online & offline integration. Explore cars using interactive product touch screens. A dedicated cafe & sitting area for smart consultations. A black strip emulating the look and feel of a car on an actual road. What is AUTO GEAR SHIFT ? Auto Gear Shift is Suzuki's revolutionary, cutting-edge technology of Automated Manual Transmission or AMT. It is a clutch less transmission where in the clutch operations are automated. AGS technology involves an electronically monitored sensor that upshifts or downshifts the gears based on engine’s RPM. The clutch and gear shift sequentially with the help of an Electro-Hydraulic Shift Actuator module. In 2014 the ultra-advanced Auto Gear Shift was introduced by Maruti Suzuki in Celerio. The AGS technology is popular in Indian car buyers for its affordability, efficiency and easy maintenance. Blends the best of both, automatic and manual transmission. More ease of driving, ideal for congested city driving. Better fuel efficiency, better mileage. 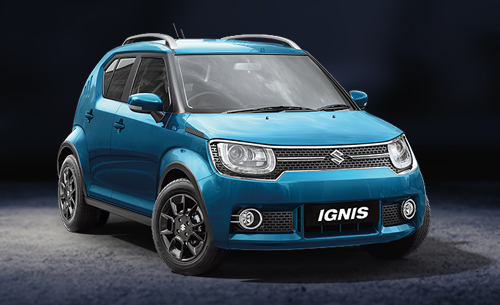 AGS equipped Maruti Suzuki cars are very economic and affordable. Maruti Suzuki True Value is India's most trusted brand and the finest destination for buying and selling of quality Pre-Owned cars. From Real-time availability of stock on True vale App or Website to smart, digitalised experience at True Value showrooms, Technology plays a key role in providing a world-class experience whether you’re looking to buy a well-maintained, rightly-priced, quality pre-owned car, or want to get the best price for your old car. With professional values like Transparency, Reliability, Simplicity & Warmth at its core, True Value redefines the experience involved with buying or selling of used cars. Professional advice at every step. More options to choose from. Choose a car before your visit. Know your car before owning it. A perfect fit for your car. The Super Carry, mini pickup truck, marks Maruti Suzuki’s entry in the commercial vehicle industry. Maruti Suzuki Super Carry is ideal for intra-city cargo transportation as it is loaded with advanced features and outstanding advantages for business owners. It comes with attractive mileage, stability, comforts and safety features. Maruti Suzuki Super Carry is the best CNG and Diesel van in India. 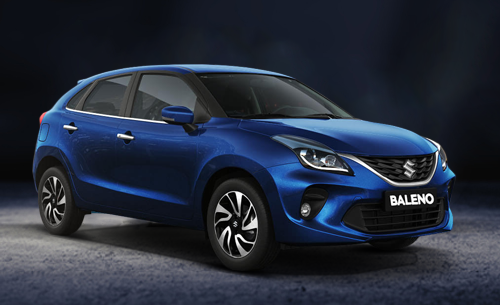 It belongs to the category of an entry level utility vehicle with Mumbai ex-showroom price starting at 4.14 lacs. Shivam Autozone presents its new Commercial outlet in Mumbai with Super Carry, a powerful mini truck. Super Carry is a proud winner of "Best Small Commercial Vehicle of the Year" Award and "Best Commercial Vehicle of the Year" Award. I am Manan Sarvaiya, I work with Decathlon Sports India and work at Surat. I own and drive a Maruti Celerio. It's been a year and I have drove for 20k kms. My name is Mr. Vible Varghese Puthussery who took a delivery of Wagon R (Delivery date 02.06.2018). We are delighted by the service that was been rendered to u throughout the period by your sales executive Mr.Sanjay Varma. I want to place this appreciation note on record. Buying a car is a rare occasion in many people’s life-hence, such an occasion is very dear to not only the owner of the car, but even his entire family. "Hats Off” to the team for being so supportive again .You have gained a loyal customer and a dear friend. I look forward to celebrating more special occasion with Maruti and definitely encourage others to do the same. All The Best!!! Overall the whole experience has been excellent. I would like to thank the whole team involved in this process. Excited to drive & have another delightful after sales experience with Shivam Autozone.